Chardonnay from one of California's most celebrated vineyards. When trying wine from one region compared to another, it is easy to taste the differences. However, there is something remarkable when differences are discovered in the same vineyard. 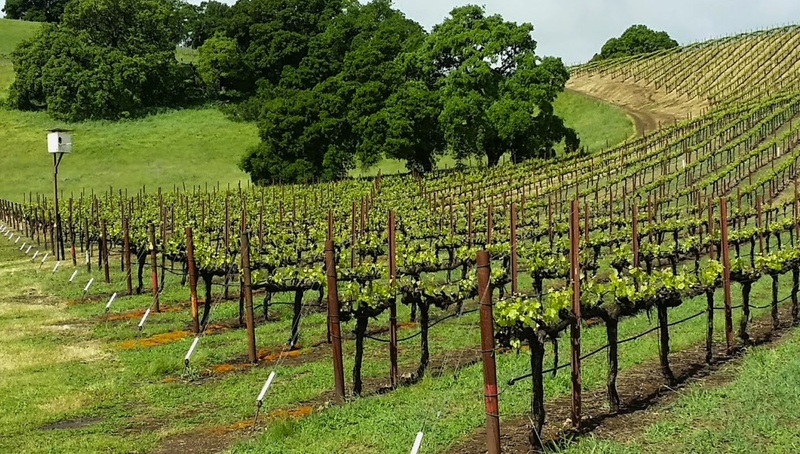 In considering some of the most revered California vineyards, like Sangiacomo, Hyde, Durell, Gary’s, and Stagecoach, subtle characteristic differences are tasted, thanks to the respect winemakers give the land, highlighting the personality of each block of vines. I recently attended the inaugural Signature Sonoma Valley, a two-day celebration of the 160-year-old wine region, toasting its historic wineries, iconic winemakers, and some of the most exemplary vineyards of California. I attended as a guest of the Sonoma Valley Vintners. 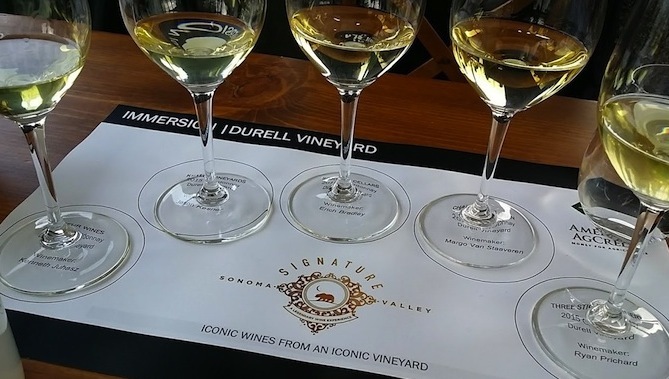 A portion of the event was an immersion experience into Bill Price’s Durell Vineyard, with key winemakers inviting guests to taste their Durell Vineyard Chardonnay wines. The tasting also revealed the importance of time, and temperature of wine. Giving the wine time to breathe in your glass will open the delicate aromas and flavors. These may otherwise be lost if the wine is too cold or consumed too quickly. All of the Durell Chardonnay wines noted are available via the winery, priced from $40-$75. 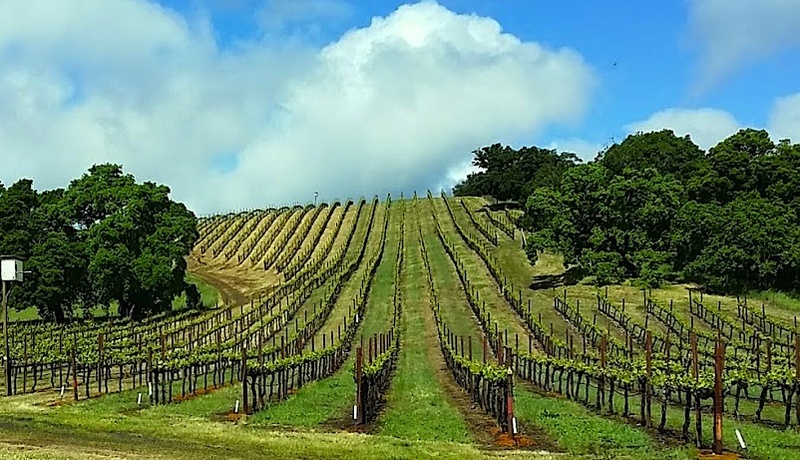 In 1979 San Francisco businessman Ed Durell purchased the property that straddles three different Sonoma AVAs, Carneros, Sonoma Coast, and Sonoma Valley, with a much warmer microclimate to the north and cooler to the south. 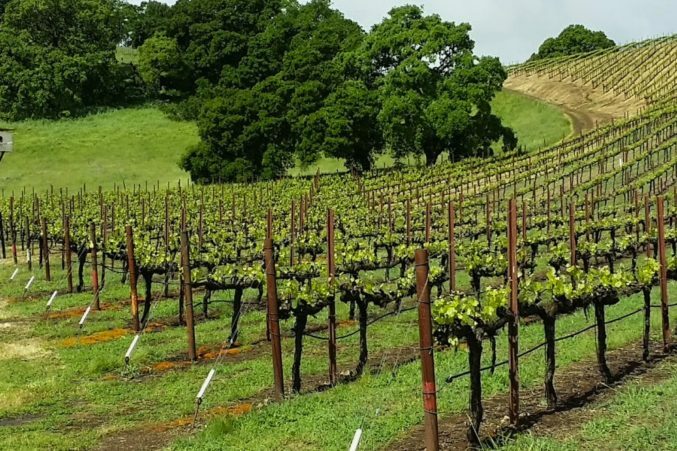 He teamed up with vineyard manager, Steve Hill, and the two converted the former cow pasture into one of California’s most prestigious vineyards today. Bill Price purchased the vineyard in 1997. Steve Hill farmed the land for over 35 years, just recently handing the property over to current vineyard manager, Rob Harris. Always with the goal to grow and sell fruit, one of Durell’s first clients was Kistler Vineyards. Kistler, known for producing Grand Cru quality California Chardonnay, began purchasing Durell fruit in 1986. Their current release highlights tropical and orchard fruit, with acidity at its core, adding freshness to its textured refinement. Sojourn Cellars began buying fruit in 2012, one of most recent new clients for Durell. 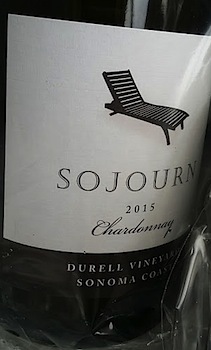 Sojourn’s Chardonnay has an earthiness and mineral note throughout the wine, melding with stone fruit, for a food-friendly expression. Bill Price’s Three Sticks Winery blends from three different blocks of vines for their Chardonnay. Utilizing different vine-blocks allows for a textured, rich wine with a luscious palate, creating an overall balanced wine. Kenneth Juhasz of Auteur Wines, is a self-admitted lover of acidity in his wines, keeping them bright, clean and crisp. 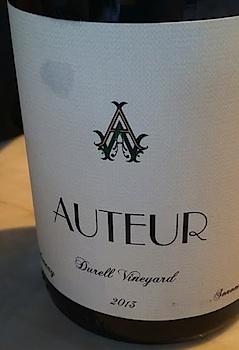 Auteur Durell Chardonnay is filled with aromatic lime leaf, green apple, and racy citrus. The wine finishes elegantly with a creamy custard note. Other special Durell wines to seek out includes stellar Ram’s Gate, Dunstan, Tor, Pali and Chateau St. Jean, producing their Durell Vineyard Chardonnay for a steal at $29. Signature Sonoma Valley will take place annually each spring. 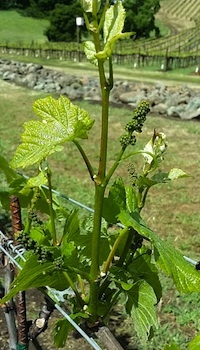 Details via the Sonoma Valley Vintners website.